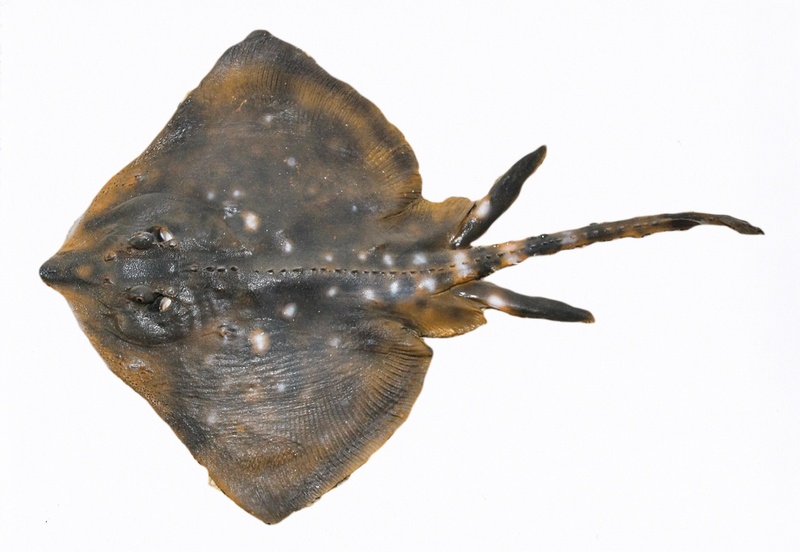 The thornback ray’s (Lat. Raja clavata) snout is very short and almost at an 90° angle. Its skin has a myriad of thorns and its back is spiked. The mails can reach the length of 70 centimetres and the females 120. Its habitat is on a flat sand or clay bottom, 20-100 metres deep. It is not common in Icelandic waters and mostly found in the North Atlantic to South Africa into the southwestern Indian ocean. It also inhabits the Mediterranian and the Black Sea.